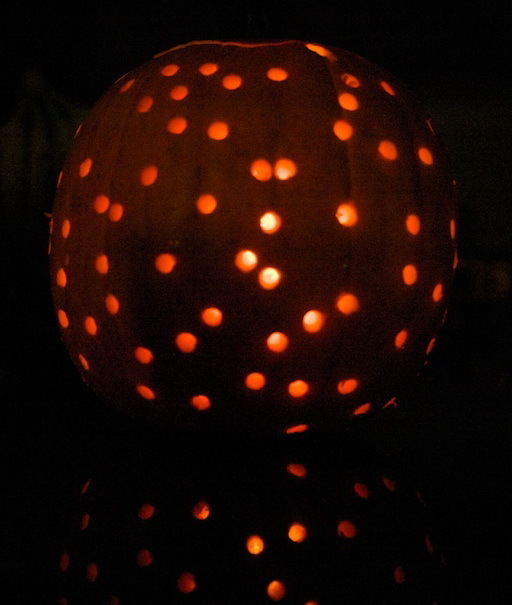 I saw a neat alternative for carving pumpkins on Eddie Ross’ site, so I decided to give it a try. 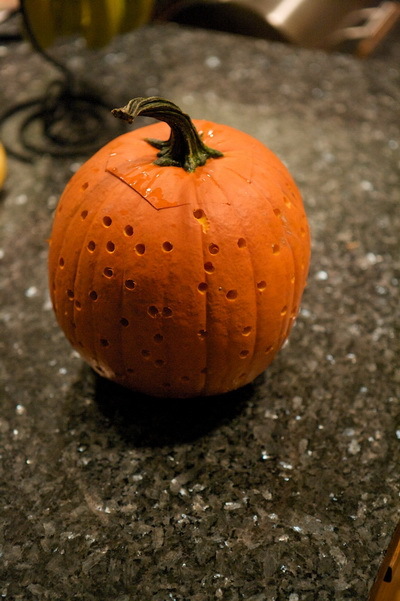 I hollowed out the pumpkin and my handy husband drilled it. It looks kind of goofy just sitting on the counter. But it looks pretty good with a candle in it. Welcome to Tuesdays with Dorie! I’m glad you liked your first recipe with the group. Your rugelach look yummy!